East Pop is a touring showcase of East End artistry. The brainchild of Red Gallery, producers of “East End Promise” an exhibition recording the transformative work s of 1985-2000, the current show explores today’s art scene. 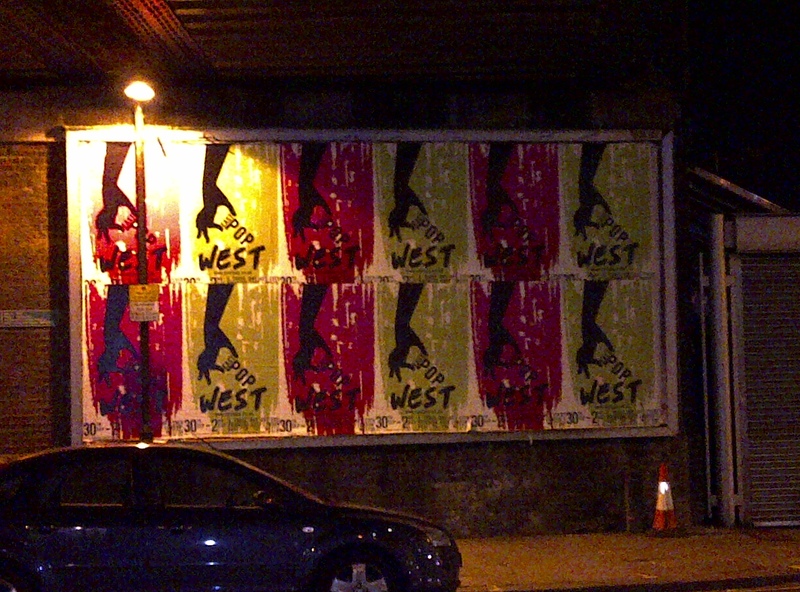 Last week we visited the show’s West London incarnation. This show has currently reopenend as “East Pop Red” as part of the Frieze Art Fair at Red Gallery from 12-18 October before gearing up for further roadshows in Edinburgh and Berlin for starters. This is an all encompassing event bringing together every form of artist and designer imaginable in a sprawling industrial space. Performance artists, films, an interactive art disco, furniture, installations, prints, painting, musicians, photographs, educational activism, video specs, found art and more including a six-foot orange jumpsuited rabbit “walking the plank”. Urban Dandy’s visit began tentatively gathering a sense of the exhibit then transformed in to an extraordinary evening. Most artists were on hand and the works are so disparate and well spaced that conversations occured naturally and even privately. It was a strange, almost organic and highly personal event that echoed each visitor’s engagement. UD donned video-glasses throughout recording every glance and conversation including a discussion about the role of activism in education. Dancing at the art disco, discovering strangely set rooms, curtained off films and provocative installations made for a stimulating time while the banquettes, outdoor seating and even children’s paint area provided ample space and the right atmosphere to digest and rehash. of which is more than an exhibit it’s a proper one-off experience. Thanks. It was a fab show.